May December Madness : It's a Boy! It’s been a long time since my last post. I have lots of ideas but very little time to write. Hopefully, I will find more time to write as I have had a lot of thoughts and ideas floating around that I am excited to share! 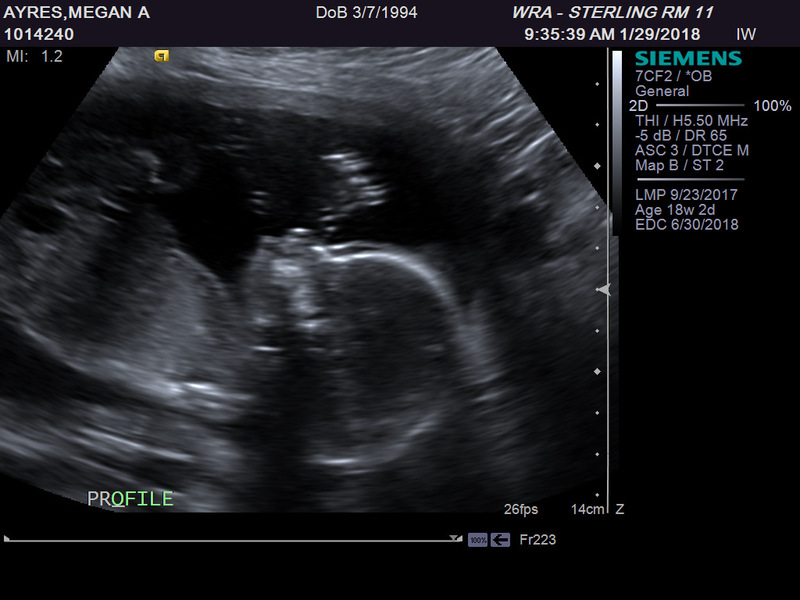 The profile of our little baby boy! At the end of January, we had our anatomy ultrasound. I was super nervous. 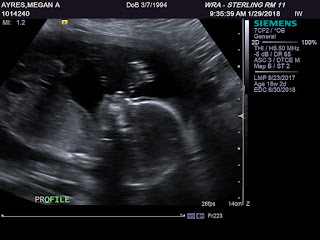 It’s scary to go into an ultrasound to see if the baby is healthy or not after so many losses. I had a very hard time sleeping the night before, I was awake till about 3am too excited/nervous to sleep. I slept in a bit and had to rush to get me, Rosalie, and Heather ready, which didn’t help with my stress levels. On my way to the ultrasound office, I dropped the girls off at a friends house. They were very happy to play and didn’t care I was leaving. I met RJ and the office, checked in, and filled out paperwork. The receptionist gave me a small bottle of juice to wake the baby up, it worked pretty well, the baby was super wiggly when we got called back. My pump the day of the ultrasound. The ultrasound tech seemed a little skeptical as to why we were there so early in the pregnancy, I was 18 weeks and a few days. Doctors prefer to do anatomy ultrasounds closer to 20 weeks because things like the babies heart are more developed than they are at 18 weeks. We explained our fear of another devastating 20 week ultrasound was what pushed us to make an appointment sooner rather than later. Luckily she was super understanding. RJ and I watched closely as the ultrasound tech started looking around. The baby wasn’t in the best orientation, so she had to skip a few things and come back to them later. Luckily by the end of the appointment, after a trip to the bathroom, and a few hip shimmies she was able to see everything and count 10 fingers and 10 toes. When the tech finally got a good view of the genitalia, she froze the picture. It was difficult for me to make out. When she explained a little more, I was able to see that it was a boy. RJ and I got very excited. We have wanted a boy for so long. We have wanted a baby of any kind for so long and, after two miscarriages it was very exciting to have a healthy baby at all. 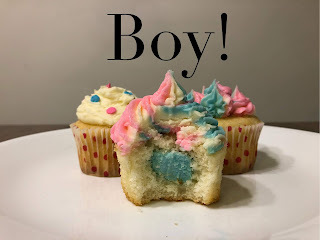 I made cupcakes for a quick and easy gender reveal! As I get closer and closer to my due date the more and more excited I get. I’ve been approved to deliver at the natural birth center attached to the local hospital. You have to be low risk and pass your glucose test. I took the one hour glucose test where they give you a sugary drink and take your blood an hour after to see how your body has processed the sugars. If your blood sugar levels are under a certain number, you are deemed to be healthy. My results were one or two points away from being too high, so they decided I needed to take the more accurate fasting three-hour glucose test. The three-hour glucose test is much more involved. You go in early in the morning after fasting overnight. They take your blood. Then give you a more concentrated sugary drink. Your blood is then drawn one, two and three hours after consuming the drink. You have to stay in the office the entire time, and you cannot eat or drink anything during the test. It is pretty awful. I felt sick, and shaky the first hour, but started to feel a bit more normal during the second and third hour. I was very, very anxious for my test results. Luckily my midwife called me herself the following morning and told me my numbers were perfect. 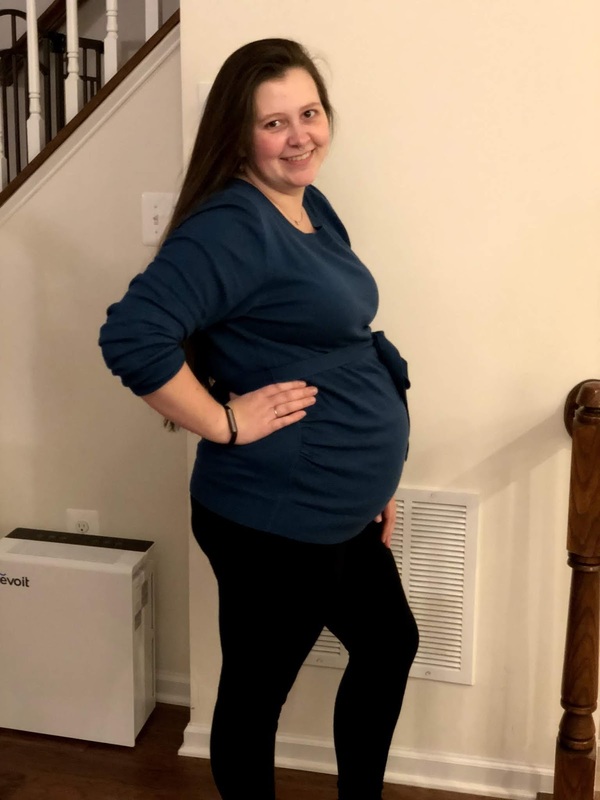 I did not have gestational diabetes! It was a huge relief! I have started to get a little anxious as I don’t want anything to go wrong that would require me to deliver at the normal labor and delivery unit instead of the natural birth center. Almost any complication would need me to be at the hospital. Luckily things are going well, and I am getting excited. I’m 34 weeks. It is insane that I only have 6 weeks until my due date. I have about a million things I want to do around the house and no time to do them! We decided to create a baby registry, here is the link. I have a few friends who have asked what we need so I thought a registry is the best way to put it out there. We have pretty much all of the basics, but since we are having a boy, we obviously need clothes and a few other things. If you want to get us something but you don’t know what we will definitely need/use diapers and wipes! I’m sure the next post I make out our baby boy will be when he gets here! 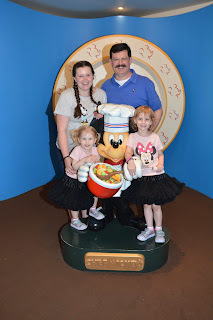 We just got back from Disney World, and I have a post all about surviving Disney very pregnant in the making so keep an eye out for it!